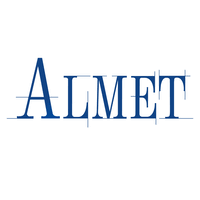 Established over 17 years ago, Almet has vast experience at the forefront of the fabrication industry. Operating from our Washington base, our highly skilled workforce offer a renowned level of engineering expertise. We specialise in providing complete, bespoke engineering solutions, from design to manufacture, delivery and installation. Our engineering services are complimented by our powder coating facilities, enabling us to offer our clients a one stop shop to satisfy their fabrication requirements. Our comprehensive prototype design and development service is supported by a full 3D CAD/CAM facility.